This is the second part of the 8 online sites that allows your to receive messages on a public number. Visit PART 1 for the complete list. ReceiveSMSNow is yet another free services that does not need registration. You can use it to verify any services with their free public mobile phone number. Don’t be fooled by the outdated design, this site works. They have 3 reliable online SMS phone numbers from Estonia. This site is useful for verifying services such as Gmail, Yahoo, Microsoft, Facebook, Amazon, VK etc. They do offer virtual number to send SMS. Receivefreesms.com is the bets i can found. Hello, I like to retrive my mms multimedia text messages and other texts from my cell phone I forwarded the mms messages back to my cell phone can I retrive the all with is on the cell phone and down load the information to a simular phone if I have my IME number of the phone and cell phone number. 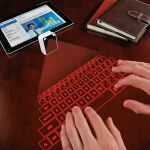 can some1 tell me how to send mms a pic from my computer to a mobile phone. 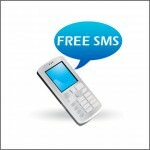 hei how can i send free txt messages on mobile phone? I just need to know where to find it or what it’s called! i want to send mms using chikka to my cellphone and to my family. is it only for Google talk?? hindi pede sa Ym ?? teach me how to send sms for free. I want girlfriend chat with u.
if this text came in call debra phone. “This phone number is associated with too many accounts” is the answer you’re likely to get. These sites are a waste of time. yes, that is why they always update with new numbers. SMS-Receive.net is a new website that contains virtual phone numbers and real phone numbers stored on the SIM cards. The website provides users a free service with public phone numbers where you can receive SMS online on various social websites, forums and applications such as: NAVERLINE, Yahoo, Microsoft, serverloft, CloudSigma, Facebook, Amazon, VK, OKru, Instagram, RealStatus, WhatsApp etc. confirming registration using phone numbers. hi can one get china sms? It doesn’t work for facebook steps below. None of them works for facebook.